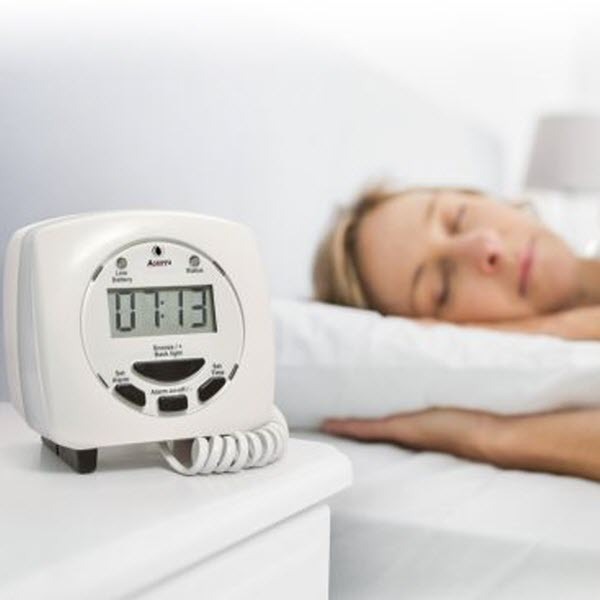 With the Vibrating Pillow Alarm, you ensure the hard of hearing are alerted to a fire alarm, which listens to and learns the sound of your specific alarm. Requiring no installation and powered by four AA batteries, this can be used anywhere on your premises. 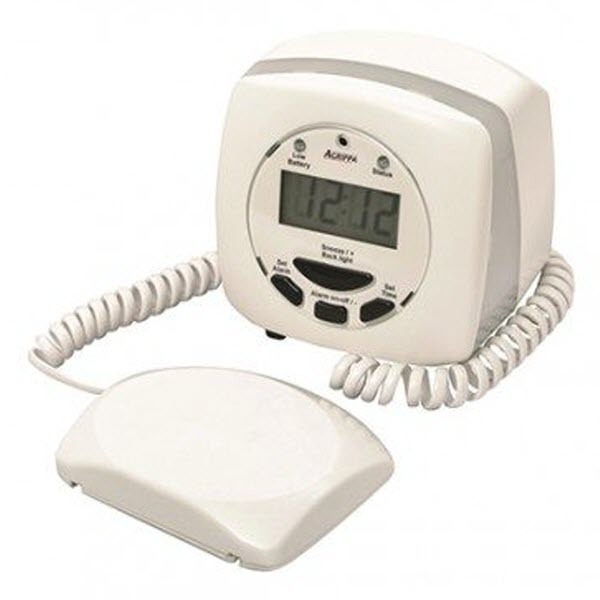 Simply place the vibrating pad under the pillow and the main unit on the bedside table. With a built-in clock and featuring a wake-up alarm, the stylish and compact design means it won’t look out of place either. When the vibrating pillow alarm hears the fire alarm, it will vibrate the pillow, shine a bright LED lights, and display ‘fire’ on the LCD backlight display. And with two pre-set trigger levels, this can be tailored to suit specific needs. Suitable for hotels, B&Bs and hospitals, this is a convenient solution for the safety of the deaf and hard of hearing as required by the Equality Act 2010. And having learned the specific sound of your alarm, false activations are less likely.